Contact AthleteSpeakers today at 800-916-6008 to book Martina Navratilova for a keynote speech, corporate appearance, grand opening, autograph signing, product announcement, moderated Q&A or for an exclusive meet and greet. 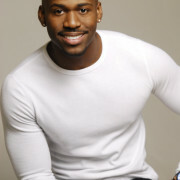 The booking agents at AthleteSpeakers work on your behalf to get you the best price for your desired sports celebrity. 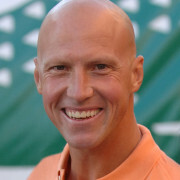 AthleteSpeakers has built very close direct relationships over the years with top athletes, agents, publicists and managers. We specialize in assisting small, medium, and large companies as well as event planners with booking athletes like Martina Navratilova for speaking engagements and appearances at trade shows, golf outings, casinos, conferences, conventions, and corporate events. For years, companies have turned to AthleteSpeakers to get Martina Navratilova's booking fee, appearance cost, and booking agent contact information. 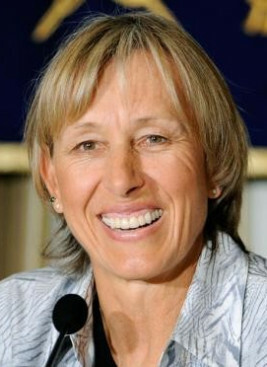 Martina Navratilova was widely considered the most successful tennis players of the Open Era, playing professionally from 1975 to 2006. A Czechoslovakian native, Navratilova became a U.S. citizen in 1981 due to the Czechoslovakian culture frowning upon her decision to make tennis such a main priority. She was known for her attacking serve and volley that led her to achieve significant results. Navratilova went on to be recognized as the WTA’s Tour Player of the Year seven times, one of Sport’s Illustrated Top Forty Athletes of All-Time, in addition to earning a record 9 Wimbledon singles championship and 59 grand slam titles. With a career spanning over four decades, Navratilova impressively came to be the oldest player to ever win a Grand Slam title. She is admired by many for her deep passion for the sport that brought her such extraordinary success. Navratilova currently gives back to the sport that made her who she was for so many years as she serves on the coaching staff of Agnieszka Radwanska, a current professional tennis player and coach. Disclaimer: AthleteSpeakers assists companies seeking to hire talent like Martina Navratilova for speaking engagements, appearances, product endorsements, and business sanctions. Our speakers bureau does not claim to exclusively represent Martina Navratilova. Our booking agency can help with finding an athlete or sports celebrity that aligns with your upcoming events date, location, and budget. When an organization request booking details for a celebrity like Martina Navratilova, we work closely with the client to make sure the proposed dates does not interfere with the requested athletes schedule. We then confirm the sports celebrity fee based on the details of the request. The fees listed on the speaker profile are rough estimates based on the previous market rate for the talent. Our team then works with Martina Navratilova's agent, manager or assistant on the booking request. For parties interested in hiring Martina Navratilova, we recommend filling out the booking request form so our booking agents can help with making your next event a success.